The new Citroen C3 Diesel Hatchback is full of personality and looks like the quirky Citroen’s of old. It’s funky, stands out from the crowd and should suit any buyer that wants something a bit different. It’s got plenty of substance too, and can boast lots of onboard tech and a comfortable ride. OSV takes a closer look at what it’s all about with our 2018 Citroen C3 Diesel Hatchback review. 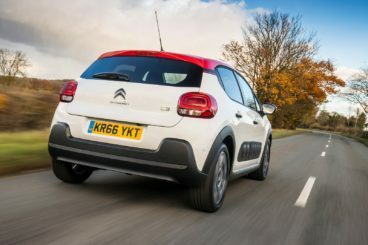 Despite what its looks might suggest, the C3 isn’t what you’d call a sporty hatchback. Compared to, say, a Ford Fiesta, it might even seem a bit dour. Citroen themselves have been at pains to remind people not to expect an exceptional handler, with the brand instead of putting the focus on comfort and refinement. As a result, the C3 is accomplished, comfortable and easy to live with. Its suspension setup does a good job of soaking up most lumps and bumps, although body lean is a bit of an issue at times. A bigger issue, however, is the car’s ageing underpinnings. Where actual driver involvement is concerned, well, there isn’t much. The steering is nice and precise but it suffers from a lack of communication. When it comes to feedback, there are rivals that offer much more. All models are paired up with a 5-speed transmission as standard, while a 6-speed automatic ‘box is available as an optional extra. In terms of the engines, there are three petrols and a pair of diesels to choose from. The diesels will grab all the headlines if running costs are a priority of yours, and they’re well worth looking at if you’re also a long-mileage driver. That said, diesel supermini’s generally don’t sell that well these days. A 1.6-litre diesel here is available in two power guises, starting with a 74bhp variant that’s useful enough and which can cover the 0-62 dash in 13.8 seconds. However, we prefer the 109bhp variant that completes the same sprint in 10.6 seconds and feels genuinely lively. The Citroen C3 is certainly eye-catching on the outside, and Citroen has tried to translate its exterior funkiness inside, too. For the most part, they’ve succeeded. The cabin is welcoming and definitely different to anything else in this class, but it’s hardly what you’d call luxurious. The soft seats offer plenty of support, the simplistically-designed dashboard is easy on the eye, and there are lots of soft-touch materials used here and there. Overall, this is a smart, well-packaged interior that’s neither upmarket or cheap-feeling – it’s somewhere in between. Technology includes ConnectedCAM, an optional camera that records what drivers see out of the windscreen. The footage will come in handy in case of an accident. The C3 allows for lots of personalisation too, and buyers can choose from an array of colours and options. Is the Citroen C3 Diesel Hatchback practical? It impresses us on this front, with Citroen claiming that it has more interior space than any other car in this class. We haven’t been able to verify that claim but it does feel roomy inside, although the large glass area amplifies this. Two adults are fairly well taken care of in the rear seats on short trips, while kids should have plenty of room, too. Three adults can just about squeeze in, but we can’t imagine they’ll be too happy on longer trips. All C3 models have five doors, which makes access easier, but storage spaces are hit and miss. For example, the glovebox could be bigger. The boot, meanwhile, measures 300-litres which is slightly bigger than average in this sector. Drop the rear seats and you can increase its capacity to 922-litres. We like its usable shape and wide opening. Standard kit is decent across the range, with entry-level Touch models getting electric front windows, a 12V socket, cruise control, Bluetooth and a DAB radio. The Feel trim adds Apple CarPlay connectivity, a 7” touchscreen infotainment system, power-adjustable door mirrors, rear electric windows, air conditioning and 16” alloys. The Flair trim gets the aforementioned ConnectedCam, a reversing camera, parking sensors and tinted rear windows, while the Flair Nav model rounds things off with more safety kit and sat-nav. Speaking of safety, the C3 was only awarded 4/5 by Euro NCAP for its crash test performance, which might alarm some buyers. However, the main reason it missed out on five stars was that it doesn’t come with autonomous emergency braking. Apart from that, its standard safety kit includes lots of airbags, blind-spot detection, stability control and tyre pressure monitoring. Prices for the new car start out from £11,555 and rise to £18,145. For more information on our leasing deals, check out our page here. In terms of its running costs, the 1.6-litre 74bhp diesel is the most frugal in the range. It returns as much as 80.6mpg if you stick to the 15” alloys and 78mpg if you specify the bigger 16” alloys. Both variants emit around 92g/km of CO2 and have a BiK rating of just 20%. The bigger 99bhp diesel is economical too, and can return over 76mpg. All diesel models cost £140 a year to tax, and they all come with a 3 year/60,000-mile warranty. Insurance-wise the diesels aren’t as cheap as the petrols, with the smallest diesel sitting in insurance group 16. All diesels return over 76mpg and have low BiK ratings. Considering the car’s size, its 300-litre boot is genuinely impressive. It’s bigger than average in this class and isn’t far from the Ford Focus. Citroen has spent a lot of cash on the C3’s suspension setup and buyers are rewarded with good ride quality. Citroen have never claimed this car is fun to drive – and it sure isn’t. If you want to be entertained behind the wheel, you might want to look elsewhere. Because the suspension setup is so soft, body roll is a problem. The new Fiat Panda Diesel Hatchback is a (surprisingly) spacious compact family car that’s cheap to run, and which feels right at home in the city. More fun than it ever used to be, the new Panda is a lively little car that impresses us just as much on the motorway as it does in the towns and cities. Its slight frame means that it’s nice and light, and it offers a hassle-free driving experience. A City button on the dash is a new feature that lightens the steering even more so that it’s super simple to park. Soft suspension helps the car deal with the odd hiccup in broken roads, and the engines are mostly satisfying. There’s just one diesel available with the new Panda. It’s a 1.3-litre MultiJet unit that buyers can’t get with the entry-level Pop model. It’s a zippy engine that’s well-suited to the motorway and can be paired up with either the standard 5-speed manual gearbox or an optional Dualogic automatic ‘box. We recommend sticking to the manual transmission as it’s less jerky. If you want the entry-level Pop model, you’ll need to go for a 1.2-litre petrol engine that develops 68bhp. It’s a leisurely engine that takes 14.2 seconds to complete the 0-62 dash and you will need to do a bit of planning when you want to perform an overtake. It’s also a tad noisy and is the one we’d overlook. Running costs? The sole diesel engine isn’t as frugal as last time, but it still returns an impressive 72.4mpg. The real problem is that it now emits over 100g/km of CO2, which means there’ll be road tax to pay. Inside, the Panda looks easy on the eye, with Fiat giving it a unique design theme they like to call a squircle. On the flipside, quality is hit and miss, with cheaper plastics to be found here and there. The steering wheel sadly doesn’t adjust up and down and it might be hard to find the right driving position, while the firm seats might annoy you on longer trips. 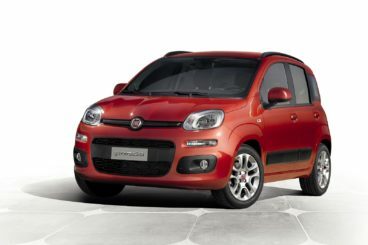 Is the Fiat Panda Diesel Hatchback practical? Its tall body ensures good visibility, while its big windows let lots of light in and amplify space. Interior space overall is good, and Fiat has done well with the dimensions they had. Four adults should be comfortable enough, especially on shorter journeys, and there are 14 storage solutions dotted around the cabin. The boot, meanwhile, measures 225-litres but can be extended to 260 at the expense of rear legroom. 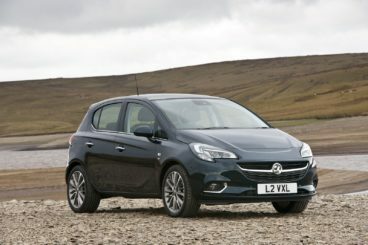 The new Vauxhall Corsa Diesel Hatchback continues to be a practical small hatchback that offers lots of value for money. On the road, the Corsa has always been one of the best cars to drive in this class, and it remains so. In fact, the only car that’s more fun to drive is the Ford Fiesta. For 2018, Vauxhall has revamped its suspension setup so that body control and ride quality is better than ever. In terms of its engines, there are plenty of petrols to choose from (so many that things can get confusing) but only one diesel. It’s a 1.3-litre unit that’s the most frugal in the range. Strangely, it also feels rather heavy. It’s available in two separate guises, with the smaller of the two developing a modest 74bhp. We’d overlook this one; not only is it less powerful to run than the bigger variant and takes a sluggish 14.8 seconds to complete the 0-62 dash, it’s also less economical. The bigger variant produces a more respectable 94bhp and completes the 0-62 run in 11.9 seconds. That said, it’s hardly an exciting engine, and ultimately both diesels fail to complement the Corsa’s otherwise keen sense of fun. Running costs? As mentioned, the diesel engine is the most frugal in the range, so this is where its strengths lie. The 94bhp returns a very impressive 88.3mpg and emits 93g/km of CO2. Inside, the Corsa is more comfortable and better insulated than last time. It also boasts one of the sharpest, best-looking interiors in this class. The seats feel kinda cheap, as do parts of the upholstery but it’s hard to find much to fault. The dashboard comes with the brand’s Intellilink 7” touchscreen that raises the standard in the cabin, while the materials are of a very good quality. Is the Vauxhall Corsa Diesel Hatchback practical? Its 285-litre boot is smaller than the C3’s but average for this class, and its usable shape is a plus. Not all Corsa’s come with split-folding rear seats, however, and the boot doesn’t lie totally flat. A false floor is optional. Other than that, a three-door model is available but the five-door has more space, with the sloping roof of the former cutting into rear headroom. That said, three adults should be just fine in the rear of either model and theres lots of storage spaces – including a small glovebox. There are some very good cars in this sector, each of which will suit a different type of buyer. If practicality, comfort, snazzy looks and scope for personalisation are among your top priorities, the new Citroen C3 Diesel Hatchback – which boasts the largest interior in this class – is a great shout.